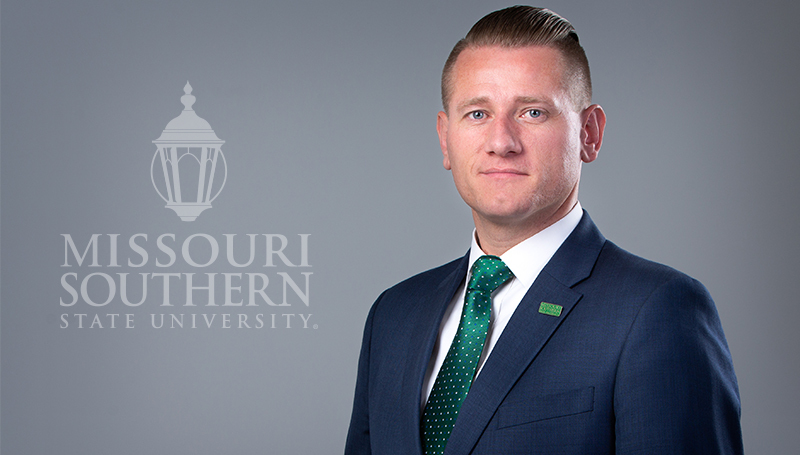 The Admissions Department at Missouri Southern will be under new leadership with the hiring of Michael Sanders as the university’s new Dean of Admissions. Sanders, who comes to Missouri Southern with more than 12 years of higher education and recruitment experience, currently serves as the Director of Recruitment at the University of Idaho, where he supervises a team of 15 recruiters for the four-campus institution. The University of Idaho has a student population of approximately 12,000. Prior to his role at the University of Idaho, Sanders previously served as Assistant Director of Recruitment and Academic Services at Arizona State University, focusing specifically on building relationships with community colleges. In March, Sanders was named vice chair for the American Association of Collegiate Registrars and Admissions Officers’ recruiting and marketing committee. The association is comprised of more than 2,600 institutions in more than 40 countries. A native of Idaho, Sanders received his master’s degree in higher- and post-secondary education from Arizona State University. He is currently finishing a Ph.D. in higher education leadership from Colorado State University. Sanders and his wife, MaChel, have two children, Hannah, 11, and Garrett, 7. Sanders will replace Derek Skaggs, who is retiring from the position after 21 years of service to Missouri Southern. Sanders will begin his new role on Aug. 13.